A FIANNA FÁIL councillor is set to run for Renua Ireland in the Carlow-Kilkenny by-election. In a coup for Lucinda Creighton’s new party, Patrick McKee, who was only elected to Kilkenny county council last year, is set to contest for the party in the by-election on 22 May. This afternoon McKee appears to have deleted his Facebook page. There has been no official confirmation that he has resigned as a member of Fianna Fáil. But the news will come as a blow to the party and its leader Micheál Martin who is already under pressure to ensure his party wins the by-election. A formal announcement will be made tomorrow, Renua confirmed this evening, without confirming that McKee will be the candidate. McKee is vice chair of Kilkenny County Council where he is the youngest councillor. He has been involved with Fianna Fáil since his teens and had even expressed an interest in running for the party in the by-election. It is clear the general public and the Fianna Fail membership are tired of politics as usual. They want something new, something dynamic. I passionately believe that I can offer them just that. I will seek the nomination on that basis. 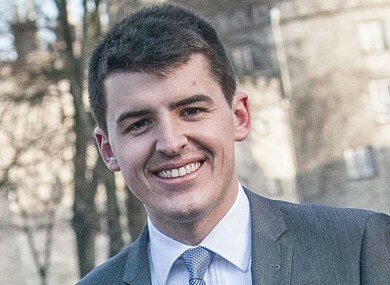 However, the 26-year-old later withdrew his name and did not contest the convention where former TD Bobby Aylward was selected as the Fianna Fáil candidate. He later pledged his full support to Aylward. Fianna Fáil did not immediately have a response this afternoon. Speaking to Newstalk’s lunchtime programme, Longford-Westmeath TD Robert Troy said he did not know if the reports of McKee’s departure were true, describing them as “speculation”. “I would be disappointed if any person was leaving the party, especially a person who was recently elected under the Fianna Fáil banner,” he said. Email “Defection: Renua poaches Fianna Fail councillor for by-election”. Feedback on “Defection: Renua poaches Fianna Fail councillor for by-election”.